Preparation, preparation, preparation – Do as much as you can in advance to save yourself time on the big day. Gravy & cranberry sauce are easy fixes which you can create days (even weeks) before, freeze, and defrost on Christmas Eve. Perfect potatoes – Everyone loves a good roastie, so, to make sure yours are crisp on the outside and fluffy on the inside, blanch your potatoes, drain, and then shake shake shake before roasting. The edges this creates will add texture to the final product. 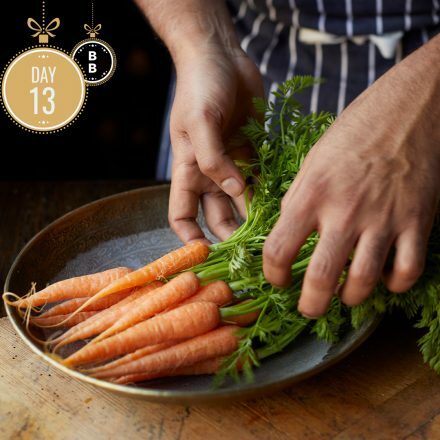 The choice is yours – With plenty of beautiful produce to choose from at this time of year, take your pick of the bunch when creating your Christmas menu. We love parsnips, carrots and… sprouts! Love them or hate them, to make the most of the seasonal sprout, blanch and then sauté alongside pancetta and chestnuts! Making mince pies… Pastry is key! Make sure you don’t knead for too long – this overworks the pastry making it dry and powdery. Once you feel the pastry has come together, avoid temptation by wrapping it in clingfilm and leaving it in the fridge until you’re ready to roll.